Inbound and outbound marketing may seem like an odd couple. Outbound marketing involves making hundreds of calls to prospects, hoping to make a winning connection. 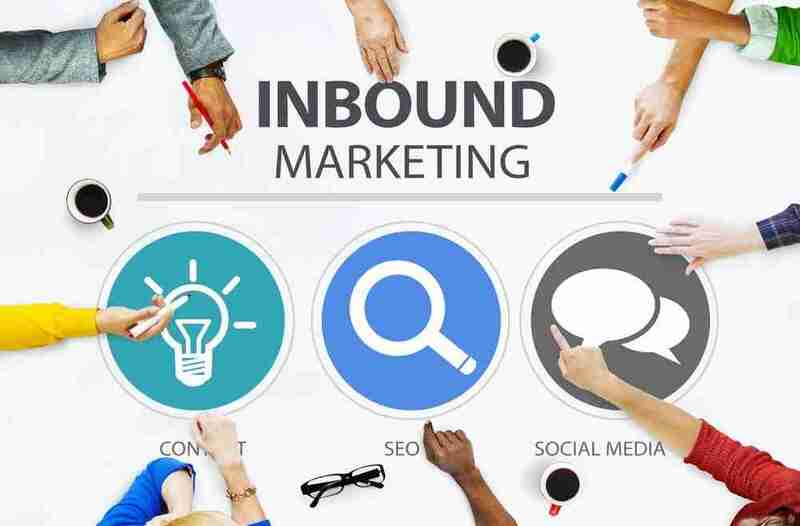 Inbound marketing is all about attracting prospects with content that entertains and informs them. With outbound, your company reaches out to the prospects. With inbound, the prospects come to you. Many companies have fallen out of love with outbound marketing. Making dozens of cold calls to chase down a single lead is frustrating. HubSpot’s State of Inbound 2017 report found that in 2016 59% of companies felt their highest-quality leads came from inbound marketing. Outbound marketing deserves some love too. The secret to getting the most out of outbound marketing is to marry it to inbound marketing. Prospects get the best of both worlds when they can experience quality content while benefitting from the personal touch provided by your sales and outbound teams. Today’s customers demand highly personalized experiences. When prospects interact with your brand, they want to feel like you are speaking directly to them. Developing personas that capture your ideal clients’ needs, pain points, and interests will help you design content that draws customers in. Content should also be built with a deep understanding of your personas’ needs throughout the sales funnel. 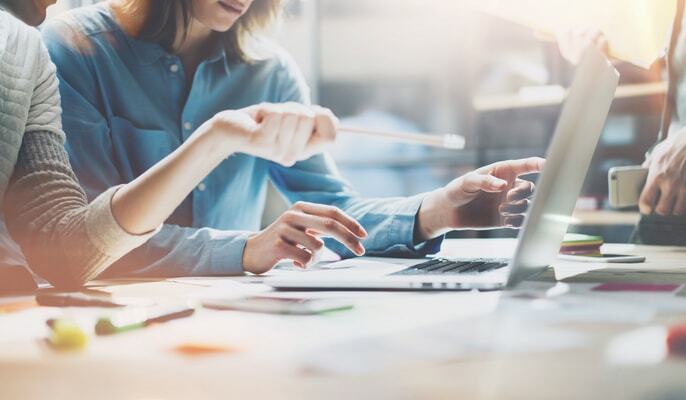 Your content inventory needs to include pieces that are appropriate to the awareness, consideration, and decision phases of the buyer’s journey. Content attracts customers by representing your company as a thought leader, but you have a better chance of converting a prospect if you follow up with them directly. When a customer interacts with a piece of content, you should have a way of reaching out to them. Your overall marketing strategy should reflect an understanding of human interaction requirements at every stage of the buyer’s journey. Tracking clicks or website visits enables you to follow up with a call from a representative. Events such as webinars create opportunities for subject matter experts to interact with potential customers face to face. Not everyone has what it takes to be successful at outbound marketing. You need sales and outbound marketing people who know how to build trust, listen, and close. The people who handle your calls need to be spontaneous enough to work without a script. They also need to understand your content well enough to follow up on customer interactions. Your salespeople should be able to handle leads that aren’t sales qualified and move them down the funnel to a conversion. Encouraging outreach from your sales and outbound marketing people isn’t the only way to give a human touch to your marketing. Your content can also humanize your company. A modern website with a responsive design makes it easier for customers to interact with your company on mobile devices. Digital content that conveys emotionally charged messages will capture customers’ attention and encourage them to respond. Social networks—such as Twitter, YouTube, Snapchat, and Facebook—create opportunities to start conversations or post pictures and videos of your company culture. These insider views let prospects see your human side. Marketing automation and personal interactions can be used to complement each other in your marketing strategy. A CRM or an inbound marketing automation platform, such as HubSpot, allows you to set up workflows that nurture your leads. 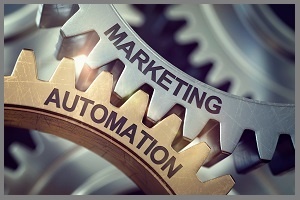 With automation, complicated marketing campaigns can be put into motion effortlessly. 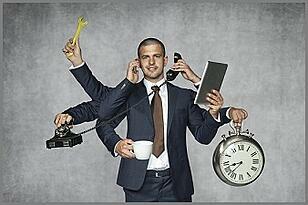 Blog posts and emails go out to prospects on a schedule without monopolizing your marketing team. Adjustments can be made after analyzing data gathered by the platform. Companies with a high level of marketing maturity ensure that their inbound marketing, outbound marketing, and sales teams work in concert. Sales and marketing collaborate on meeting realistic and measurable goals to ensure the overall success of the business. TSL Marketing learned early on that the key to marketing success is creating harmony between inbound and outbound marketing. At TSL, we have a skilled business development staff manning our phones and an experienced creative team building exciting content. We work with your company to design a winning marketing strategy that integrates outbound and inbound tactics. Find out more about how inbound and outbound marketing are a match made in heaven. 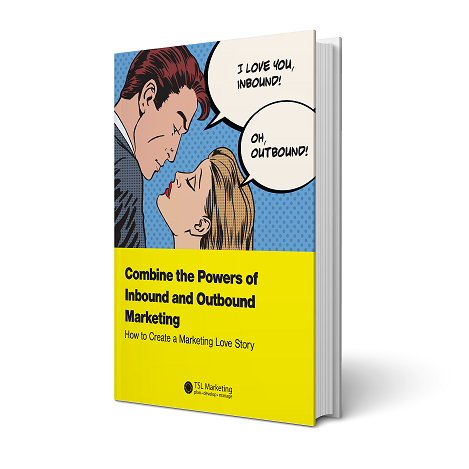 Read our eBook Combine the Powers of Inbound and Outbound Marketing: How to Create a Marketing Love Story. Contact TSL Marketing here.